Over 20 years of experience as a civil trial lawyer managing an active litigation docket Statewide. Extensive experience in handling and litigating complex mass tort, commercial, and construction related claims. He has served as a joint - neutral approved litigator in mass toxic tort issues wherein he was retained by the combined defense group to represent their collective interests through the litigation. These collective defense groups have included property owners, contractors in industrial settings, suppliers and manufacturers of various products. He has negotiated and litigated numerous toxic tort cases throughout the State involving disputes pertaining to product defects, chemical exposures, premise liability and general personal injury litigation. In Construction matters, he frequently represents contractors, subcontractors, owners, lenders and manufacturers. He is currently serving as Texas counsel for several clients and has extensive arbitration and trial experience throughout the State. 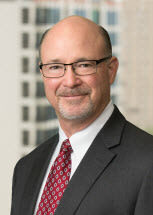 His construction law practice focuses on claims; disputes; arbitration and litigation of contractual issues. Some litigated projects include schools, churches, jails, high-rise residential and office buildings, hospitals, assisted-living facilities, multi-family and single family residential construction.